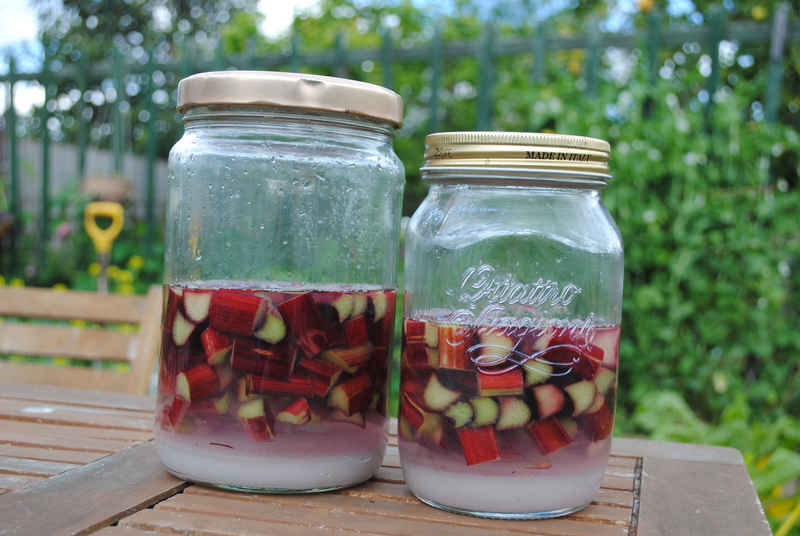 I couldn’t use homegrown rhubarb for the Schnapps because I moved my crowns not so long ago, and they’re yet to get to a decent size. But they are much happier where I’ve put them, for a couple of reasons. 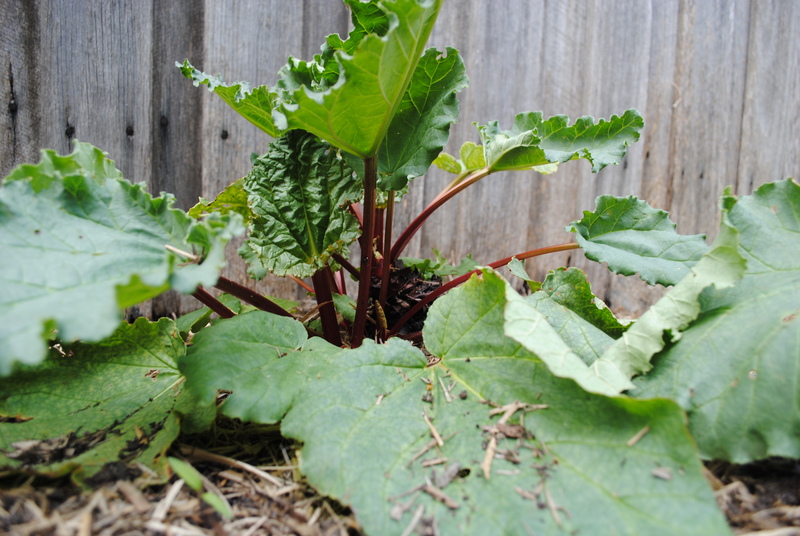 First, like most rhizomes, rhubarb doesn’t like wet feet; growing it in a raised bed or on mounds is advisable. Second, rhubarb likes to be warm, but not too warm in summer, so I’ve moved it to a spot where it will get shade from the western sun in the afternoons. A final tip about rhubarb – it doesn’t like strong food, so feeding it with compost or a liquid fertiliser is best, rather than manure. 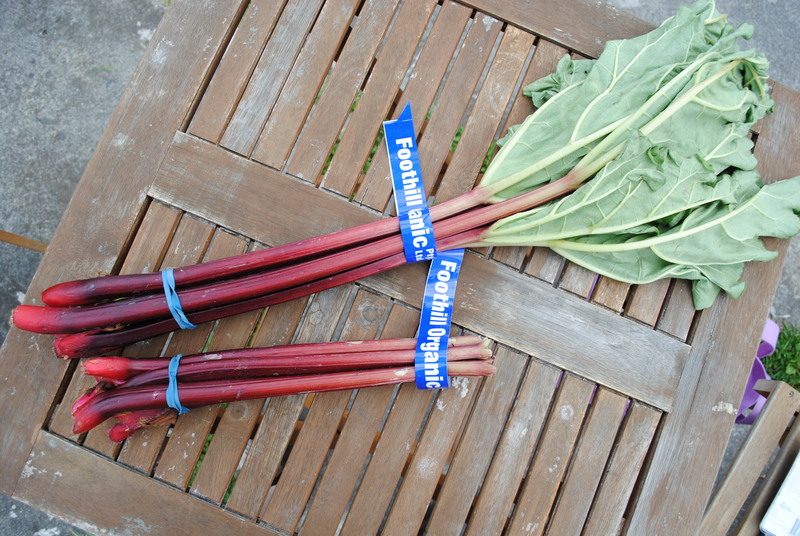 Rhubarb is a delicious and versatile vegetable (apparently, in 1947 in the US it was deemed a ‘fruit’, for reasons of trade and tariff). I’ve got a great Rhubarb & Orange Jam recipe that almost makes itself, which I’ll post here some time. Oh, and Rhubarb & Ginger Chutney is another winner, as is the favourite in this house – Rhubarb & Apple Crumble. And then there’s Sharen, with her Rhubarb Schnapps obsession … Perhaps now I’ve made it, and once I’ve waited the requisite six weeks, I’ll better understand. Perhaps we all will. Once the wait is up, strain the Schnapps into a jug and pour it into your litre bottle. And there you have it – Rhubarb Schnapps. As with vodka in general, keep the Schnapps in the freezer, bringing it out for special occasions … (when I’ve bottled up, I’ll post a picture here). No doubt some kind of amazing label design will eventuate. I’m looking forward to that almost as much as to the Rhubarb Schnapps. Almost. One of the best commentators on the delights of rhubarb is Garrison Keilor in his Prairie Home Companion monologues about Lake Woebegone. He also covers the origins of the name of this plant: it is not widely known that it was first commercialised by a couple called Rhudy and Barbara somewhere in Minnesota early in the 20th century (or something like that. Anyway his stories of the first rhubarb pies of the season being served up to drooling rhubarb afficianados at the ‘Drop-In Cafe’ are classic. It will be on Youtube somewhere.